I recently was asked for recommendations on all things London by one of my best friends who is visiting there in May. I don't think I have ever been more excited to make a list in my life. I can already check off everything on the list, but I am hoping you will be able to as well! Being able to revisit my memories of my four months in London made me very nostalgic, but it also made me realize that maybe some of you need recommendations too! (I find that asking someone who has been to a city for an extended period of time has a better opinion than those that took short trips to different countries). So, with that being said, here is a list of recommendations for all things London! In order to see the city in the easiest way possible, I grouped some of the major attractions together. That way you can maximize your time! The Shard (I recommend this if you’re wanting to pay to see the view of all of London vs. the London Eye that isn’t worth the money). Also, I had some friends who just said they were going to the bar. That way you get into the Shard for free and get a similar view, but just get to enjoy drinks instead! At Tower of London, you can see the Crown Jewels which is amazing and very much worth it. This is where the astronomy centre of the prime meridian is (aka 0 degrees). This is a little far out of the city center, but you can also see the queen’s house down the hill! If you are wanting to leave London at all to visit the coast, I would check out Brighton! It is quirky and artsy, and I had the best fish and chips at a restaurant on the beach! I really enjoy visiting Oxford, because it is a college town and there is a lot of history there. It is definitely a day trip (we took a bus) but if you are interested at all, I would go! I would recommend a Stonehenge and Bath day trip, as you won't spend much time at Stonehenge. However, with it being a world wonder, I do hope you take the time to see it! 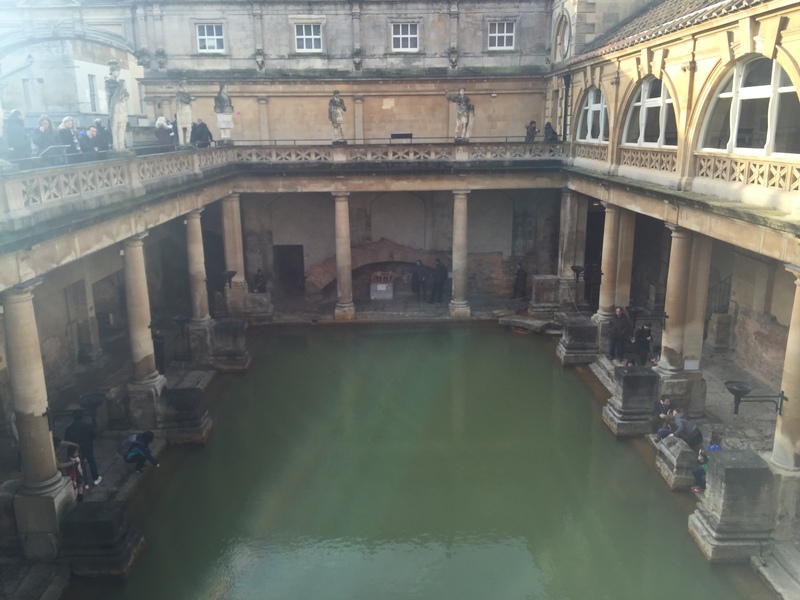 Bath, where the Roman Baths are, is also a must. There is a lot of history, and it is a quaint town! This can be a place for you to spend the afternoon after seeing Westminster. There is a ton of shopping as well as food. There are usually live street performers as well! Laduree is located in "The Market–" this is a good spot to start at Covent Garden, as it is a central hub! A must! The coolest stalls, and you can find some unique items :). Pay attention to the hours it is open (found on link), also located by here is Notting Hill, which are the picturesque painted houses in a row. One of my favorite places for culture, shopping, and food in all of London. It is always busy, but that is what is so fun about it. You can spend hours here, so go hungry and leave happy! The whole street is shopping, so you cannot go wrong! This street was right by where I lived, so I recommend shopping early, spending time in Hyde Park, going to Sketch London for afternoon tea (never went, but the most instagrammable place). Harrods is located by Hyde Park as well, so when you visit Buckingham Palace, make sure you stop in to see the craziness of wealth that is Harrods. You HAVE to go here for food. I took everyone here. Bread Ahead Bakery for donuts. I crave these on the regular, and there is none quite like them in the world. If you can get there late morning to have this and then some lunch, that would be ideal! Furness Food Hut inside the market has paella, curry, and the BEST burger I have ever had. It is the Wild Highland Venison Steak Burger with gouda cheese, caramelized onions, and bacon jam. I frequented the one on King’s Road while walking to my photoshoot studio location, but they have amazing treats if you find yourself near one! Another highly instagrammed place, but go here for all things Pink, and more importantly, cupcakes. Get your chicken fix, and don't forget the peri peri sauce! I recommend downloading Citymapper to your phones, as this is the easiest way to plan your traveling! I used it every day. If you plan to go to as much as possible, this is a great way to save money. A lot of the attractions in London aren’t cheap, so this can include those sites, and more, for an overall cheaper price. London is very very expensive, so plan accordingly :) BUT make the most of your trip because you won’t regret it. Look to Time Out London for special events or new openings/recommendations! If you need groceries at all while you’re there, look for a Waitrose ($$), Sainsbury’s ($$-$), or Tesco ($)! If you have any questions, please feel free to reach out. I am happy to help!